Global Entry is by far one of the best investments in anything I’ve ever made. I travel internationally at least six times a year, often more, and customs in my home airport of San Francisco can sometimes take hours. My very first trip with Global Entry was on a return trip from Italy where I made it through a full hour and a half before my boyfriend did who was on the same flight and entered the customs area by my side. Filling out the Global Entry form is easy, but requires an in-person interview which is less-than-easy to arrange. I wrote a post before about how the earliest appointment that was available at my airport was 8 months out when I was conditionally approved, and I walked in a week before that Italy trip and managed to get seen in 2 minutes. Last week when I was returning from an international flight I noticed a new addition to the customs line “Global Entry Interview Upon Arrival.” Now at SFO (and some other airports), you can do that interview when you land and take advantage of the shorter lines all at the same time. For me, my interview lasted roughly 5 minutes when I did it in-office, but they’re typically scheduled for 15, so you might be chatting with that customs officer for a bit. That said, if you’re already conditionally approved, it’s great that you can go ahead and use the service and take care of that pesky interview part, without having to wait for an official office appointment. And you’re skipping that potentially horrendous line for the Global Entry one, even though you’re not all the way approved yet. The ability to interview when you land isn’t available everywhere, but it is available quite a few places. The list of airports is a bit too long to list here, but you can see them all narrowed down by state here. The service is available in Alaska, Arizona, California, Colorado, Florida, Georgia, Hawaii, Illinois, Maryland, Michigan, Minnesota, New Jersey, New York, Nevada, Oregon, Pennsylvania, Texas, Utah, and Washington. You can also enroll upon arrival at a few airport locations in Canada. If you’re flying into any of those from an international location soon and still haven’t signed up for Global Entry, now might just be the perfect time. You’re probably used to sorting your garbage into bins: green for paper, or blue for plastic and glass. But when it comes to electronics, we’re still used to selling those off or tossing them into the trash heap. Unfortunately, our gadget addiction has real consequences for the planet, making it imperative that we dispose of everything responsibly. Sure, you can try parting with your stuff for cash, but it’s a pain, and it can be tough, if not impossible, to find someone who wants a busted Xbox or 20-year-old CRT. Few places have curbside pickup — in fact, some localities make it illegal to leave electronics for the garbage collectors — so you’re going to have to find a reputable center to take it. We’ve gathered some of the resources to help you dispense of your broken and unwanted computers, televisions and any other gadget flotsam that’s been taking up space in your closet. 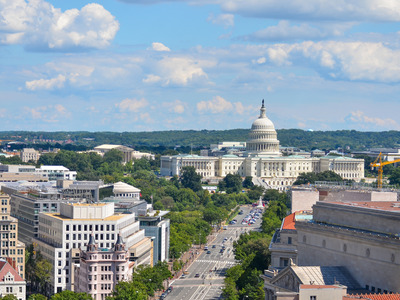 There is no national electronics recycling law at this time, so you won’t find any federal programs to assist you with getting rid of old devices — the USPS does run a program for federal agencies and their employees, but it’s not available to the general public. Instead, the rest of us have to rely on nationwide retailers to toss out our old stuff. Best Buy has over 1,000 locations in the United States, so it’s likely you have one nearby where you can drop stuff off. You just need to take it to the customer service counter. They’ll issue you a receipt too, but keep in mind that you can’t claim the drop-off as a deduction on your taxes since Best Buy isn’t a charity. You can even recycle televisions and monitors, though you’ll be charged a fee of $25 per item to cover the higher costs of transporting and disassembling them. Best Buy limits you to three items per household per day, including up to two televisions. There are only 300 Staples stores nationwide, but it has some perks over Best Buy — you can bring up to seven items per day and, if you recycle a printer, you get $50 off a new one. Recycling your stuff follows the same process — just bring your products to the customer service counter for a receipt. Staples Rewards members also receive a small credit of $2 for every used ink cartridge they turn in, up to 20 a month. Unfortunately, though, Staples does not recycle televisions. Office Depot has over 1,300 locations to choose from, but unlike Staples and Best Buy, it won’t recycle your old gadgets for free. If you’re only getting rid of a few phones or batteries, those can still be turned in at no charge, but for everything else you must purchase a Tech Recycling Box, which costs $5, $10 or $15 depending on the size. Once you have the box, you can fill it with as many items as you want, provided they all fit inside, including smaller televisions. So it’s a great deal if you have a lot of stuff you want to dispose of. And if you’re looking to turn in some ink cartridges, Office Depot also offers $2 per cartridge, but only if you make a purchase of $10 or more in the same month. If you can’t make it to a retail location, especially when you only need to get rid of one or two items, many companies offer recycling programs for their own products. They’ll even pay for shipping. Some run their own programs while others use outside organizations. We’ve outlined policies from a handful of manufacturers below. While Amazon would love to direct you to its trade-in program, you’re probably reading this post because there’s stuff you can’t sell, and for those items Amazon offers mail-in recycling. You can send in your busted Kindles, Fire TVs and even Dash Buttons, as well as select peripherals like keyboards and mice. You’ll just need to fill out some forms online and generate a shipping label, which you can slap on any box. Drop it off at a UPS location and you’re good to go — Amazon will cover all the costs. Apple’s ‘Liam’ robot, which disassembles your old phones. If your iPhone or MacBook is still in good shape, you should consider selling it, but if it’s old or beat up you can still score a gift card by turning it into Apple’s recycling program. For iPhones, iPad and Apple Watches you’ll be asked to fill out a form attesting to the product’s condition and given a trade-in quote, with a working iPhone 5 going for $35 and an iPhone 7 Plus scoring you $315. For Macs you’ll be asked to provide a serial number as well. Though Apple won’t give you any cash for anything deemed old or unacceptable, you can still mail it in or bring it to any Apple Store so it can be responsibly disposed of. Dell offers drop-off recycling via a partnership with Goodwill. Not every location participates, but there are over 2,000 that do. And, because it’s a charity, you may even be able to deduct it as a donation on your taxes. Dell also has a mail-back program on its site where you can generate a shipping label and drop off the package off at a FedEx location instead. You can ship old product back to Epson by simply creating a shipping label on its site and dropping it off at a FedEx location. If you can, HP recommends taking its products to the nearest Best Buy or Staples. But if that’s not feasible, the company participates in a program that will even buy back some items. You’ll be asked to fill out a form with the make, model and condition, and the recycler will email you a prepaid shipping label to mail the package within 30 days. If you’re doing a buyback you’ll receive a paper check in the mail. Because this isn’t an in-house program with HP, you can also send in items from other companies — check the drop down list for firms like Canon and Toshiba as well as more obscure and out-of-business manufacturers. Many other companies use outside recyclers to dispose of their products, and you’ll often see the same names popping up again and again across different manufacturers. This should simplify things in some cases — you should be able to send in products from multiple sources in one package. You just need to fill in the make and model to generate a prepaid shipping label. However, different states have different rules on what you can return, so the drop-downs for selecting your product may vary by jurisdiction. 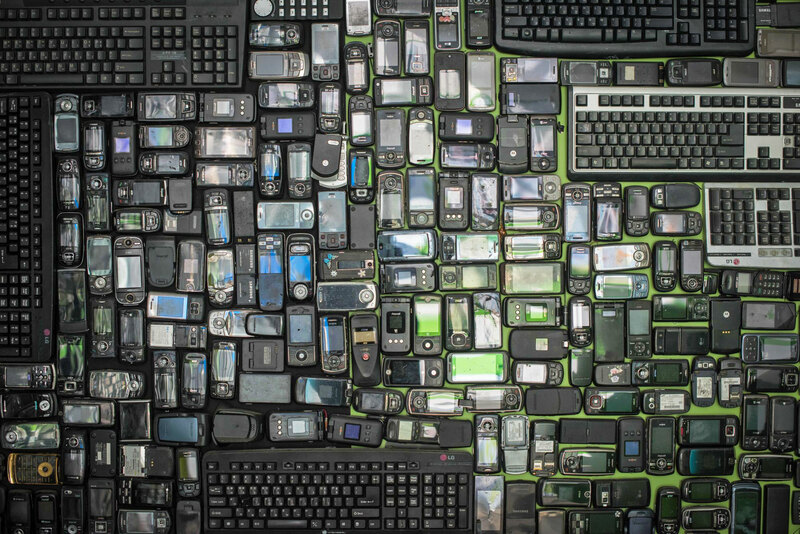 Two major recycling companies you’ll notice a lot are RLGA, which covers Acer, Canon, Google, Intel, Lenovo, Microsoft and Motorola, and MRM, which recycles product for Alcatel, BlackBerry, Barnes & Noble (nook), TCL and Toshiba. Call2Recycle, which has drop-off centers all over the country in many chain stores, including Lowes and Home Depot. They’ll also accept rechargeable batteries as well. Cell Phones for Soldiers, which accepts phones in any condition and sells them to refurbishers or recyclers. The proceeds go toward purchasing phone cards for troops so they can call their friends and family back home. To be clear, the phones are not given directly to the soldiers. All four of the major carriers, including Verizon and T-Mobile, offer free recycling as well. You can trade in your old device in-store or send it in for a credit toward a new phone, or let them straight up recycle it. AT&T participates in Cell Phones for Soldiers, while Sprint runs the 1Million Project, which works to get disadvantaged kids devices and internet access. If you do decide to try your luck with Gazelle or ecoATM to see if your old phone is still worth a few bucks and it turns out it’s worth nothing, you can at least rest easy knowing that both companies will recycle your phone responsibly. There may not be a national law dictating that you must recycle your electronics, but at least 26 states have passed their own rules that vary widely on what they demand of both manufacturers and consumers. Almost all states that do collect products for recycling provide this service for free, with the bill footed by the companies in some way. Most provide some local programs to help you get rid of your stuff, regardless of whether recycling your gadgets is required or optional. States where you can no longer dispose of electronics in the regular trash and must recycle them include: California, Connecticut, Illinois, Indiana, Maine, Minnesota, New Jersey, New York, North Carolina, Oregon, Pennsylvania, Rhode Island, South Carolina, Vermont, West Virginia, Wisconsin and the District of Columbia. The following states have laws requiring manufacturers to pay for recycling, but you, the consumer, are not actually required to recycle your electronics: Hawaii, Maryland, Michigan, Missouri, Oklahoma, Texas, Virginia, and Washington. California: Consumers pay a small fee of $5 to $7 when they buy televisions and laptops. This is used to reimburse recyclers for the high cost of recycling these items, so you don’t get it back when you turn in these items for collection. Connecticut: Does not allow recycling centers to charge you a fee for turning in electronics, so many organizations that would usually charge for recycling televisions and monitors do not accept them. Since you cannot dispose of them curbside, you can take them to a municipal transfer station for free. Michigan: In addition to hosting numerous drop-off sites, Michigan will also pay for you to recycle your old gadgets by mail. Pennsylvania: Does not allow retailers to charge you a fee to recycle, so places like Best Buy and Staples will not accept televisions or monitors. Many recycling centers have also closed as a result of underfunding. Some non-profit recyclers may still accept the items, and you should check to see if your local government is hosting any drop-off events. Lancaster and Dauphin Counties also still run civic recycling programs. With it becoming more difficult to get rid of an old TV in Pennsylvania, with some people even resorting to illegal dumping, state senator Richard Alloway II introduced a bill last June mandating a fee on new purchases to offset the cost to recycling facilities. It’s been sitting in committee for the past year. These days, blood-testing startup Theranos is on its last legs. But in 2014, the billion-dollar company and its CEO, Elizabeth Holmes, were on top of the world. Back then, Theranos was a revolutionary idea thought up by a woman hailed as a genius who styled herself as a female Steve Jobs. 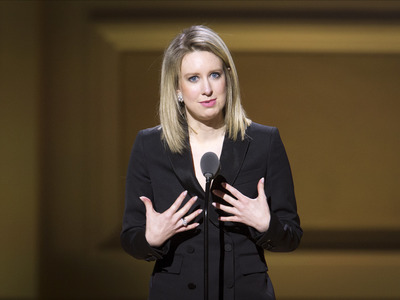 Holmes was the world’s youngest female self-made billionaire, and Theranos was one Silicon Valley’s unicorn startups. The shortcomings and inaccuracies of Theranos’s technology were exposed, along with the role Holmes played in covering it all up. Theranos and Holmes were charged with massive fraud, and the company was forced to close its labs and testing centers. This is how Holmes went from precocious child to ambitious Stanford dropout to embattled startup CEO. 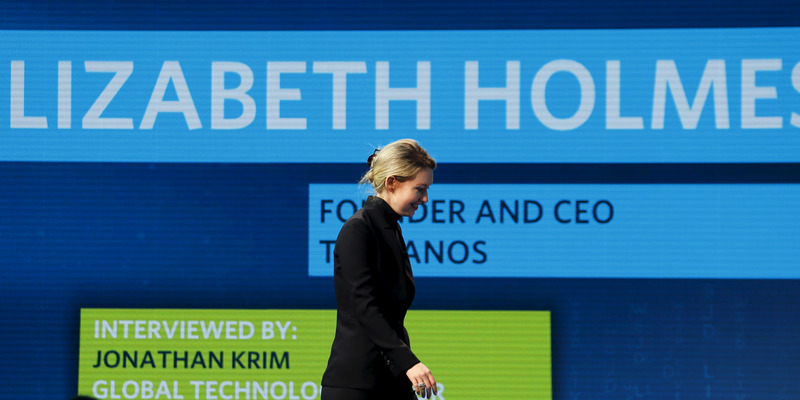 Elizabeth Holmes was born on February 3, 1984 in Washington, D.C. 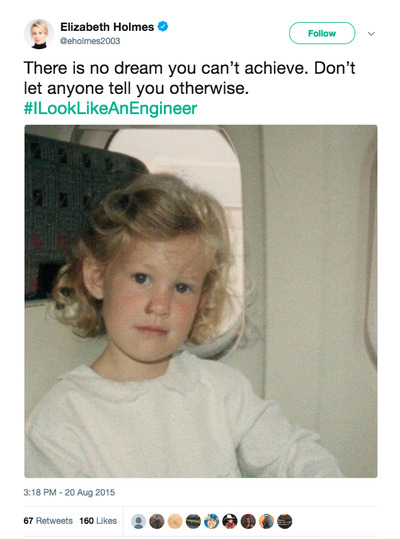 Her mom, Noel, was a Congressional committee staffer, and her dad, Christian Holmes, worked for Enron before moving to government agencies like USAID. Holmes’ family moved when she was young, from Washington, D.C. to Houston. At the age of 9, Holmes wrote a letter to her father: "What I really want out of life is to discover something new, something that mankind didn’t know was possible to do."